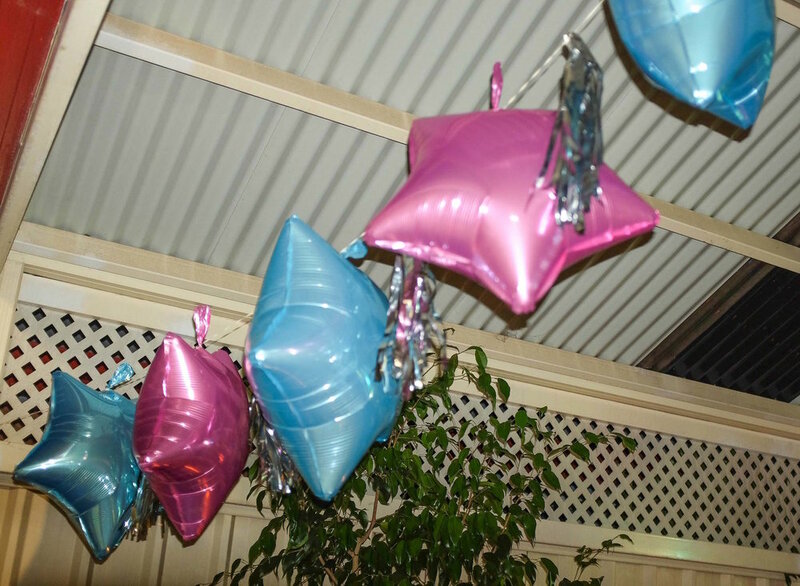 I recently had the task of organising one of the biggest and most memorable parties for a really special family member - my Mum. She decided on a Cruise theme party on the cusp of going on an European Island cruise with my Dad later that month. From going to the flower markets to making the naked birthday cake, a lot of love and hard work went into this but I couldn't have done it without the help of my other half and my brother's girlfriend, Sally. The naked cake was our traditional Sugee cake which is a Eurasian favourite, I stacked four layers and made a peach coloured Swiss meringue buttercream topped with fresh roses and a custom gold mirror sixty topper. 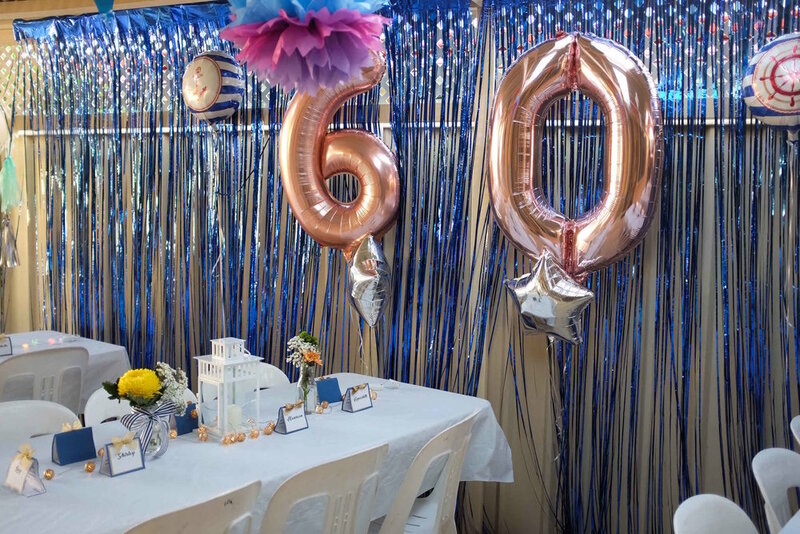 All the flower arrangements were handmade, I bought beautiful dyed chrysanthemums to add some pops of colour to the tables and used my Mum's Mason jars - finished them off with some thick nautical printed ribbon. I organised some vintage Cruise posters to be printed and decorated the surrounding walls with these along with plenty of balloons - all leading to our handmade custom photo booth which was a hit of the night.